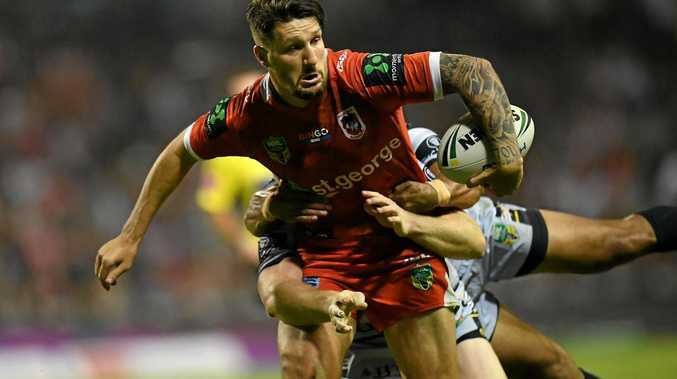 DRAGONS stars Gareth Widdop and Josh Dugan could be back from injury for this week's clash with the Wests Tigers. Dugan has missed two games with the Dragons because of a fractured cheekbone. If he gets through Wednesday's Origin game Dugan will front the Tigers at ANZ Stadium on Saturday. Widdop could return from a knee injury. Their inclusions will boost a Dragons side that ended a three-game losing streak before the bye with a win over the Warriors.